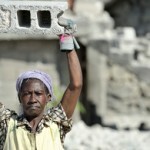 Haiti: What kind of governance and reconstruction? Presented by the Fragile States Research Network at CIPS. Free. In French. To register, please contact [email protected]. A light lunch will be offered. What opportunities does the crisis in Haiti offer to foster endogenous, equitable and sustainable development? How can external tutelage be avoided? Can civil society help transform the state and renegotiate sovereignty? These questions will be addressed at the launch of a book by Professor Daniel Holly (UQAM) titled De l’État en Haiti, and of a new issue of the Journal of Peacebuilding and Development on reconstruction in Haiti, edited by Professor Stephen Baranyi (U Ottawa).